Recording the financial transactions forms the core part of the accounting system. Purchases, Sales, Receipts by the owner or an organization are considered as transactions. Recording them becomes an important part due to many reasons for keeping records will help you keep track of them in the future too. Many different approaches to single-entry bookkeeping or double-entry bookkeeping are available and can be used by organizations accordingly, the inclusion of transaction and recording them is a bookkeeping system. QuickBooks Bookkeeping Services, an accounting software system supports many different genres of manufacturing, wholesale and retails, distribution and so on. • Accounts Receivable – Managing your debtors. • Sales Tax Filing and Payments – The software very easily calculates the sales tax liabilities and helps in paying taxes on the periodic basis. • Payroll Services – QuickBooks is fed with employee’s time sheets, and the paychecks are thus processed. • Bookkeeping Reports – Detailed reports are being generated in PDF format. QuickBooks Bookkeeping Services provides quality and reliability that too at reduced cost proving to be economical. With the internet world, Virtual Bookkeeper Australia is well acquainted with the increased pace and has its online version along with the desktop application. 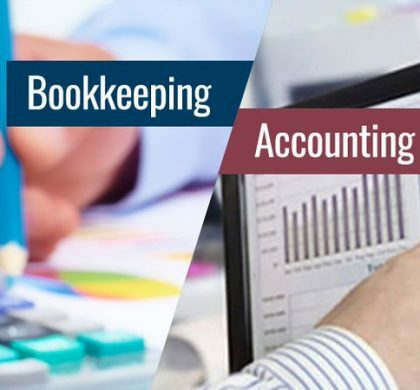 Online Bookkeeping has the advantage of accessing anywhere and anytime with infrastructure and maintenance savings and has the advantage of remote usage too. The software helps enterprises in building their accounting caliber. Very easy to use with the perfect user-interface, QuickBooks is an ideal use for any business. If you are looking for an opportunity to grow your business, Contact us. Get a Certified Quickbooks Bookkeeping Provider Today!